There’s been a lot of discussion and indeed panic around the subject of the European Data Protection Legislation (GDPR) that’s being enforced as of May 25th, 2018. When the discussion starts I find myself being glad that consumers are being protected in this way. In fact, I take the view that not only consumers are being ultimately protected but we as marketers also bear the fruit of that legislation. Isn’t it far more effective to be interacting with someone who wants to hear from you than someone who is worn down by your “marketing funnel” and not really engaged with you. I’m a believer in the Marketing Funnel. It’s the building of a process that allows you to interact appropriately at each stage in the decision making journey of your potential customer. If done correctly, you get to lead your target customers (i.e. the ones who fit) through to purchase… a purchase that they are ultimately delighted to follow through on. It makes me think of this idea of Permission Based Marketing originally proposed by Seth Godin in 1999. Isn’t that what this GDPR legislation is all about? Really. I also had a great conversation with Data Protection & Privacy Law Specialist Philipa Jane Farley about this whole idea and we are of the same mind. So much so we’re going to do a session on this topic once the GDPR deadline has passed. This delayed date is a deliberate decision on our part as we want to reframe the conversation here when everything has calmed down. Because this is really what it comes down to. 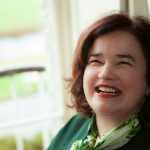 Mark Schaefer publishes a blog that I love and a couple of days ago he talked about the Three Words that Guide All Marketing Strategy today (Relevant, Superior, Consistent). The aim today is to become a habit, part of the fabric of a customer’s life. And that in itself, is what prompted this post today. How could I produce content that added so much value that it could become part of the fabric of a customer’s life. Further you will create a space to learn about your customer instead of focusing on what you want to say… you will concentrate on what they want / need to hear. This is a worthy marketing effort. Now Comes the Action Part. What can I do today and in turn what can you do today to become part of the fabric of your customer’s life. This is what I’ve come up with so far. And I always reserve the right to allow that to evolve. If you’re an existing subscriber to this blog you will have already received an insider invitation to a live interview with Seattle based Entrepreneur, founder Rand Fishkin. 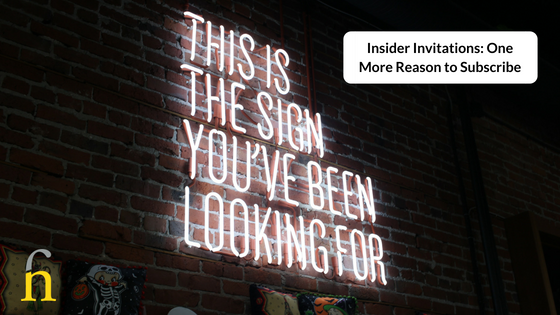 This will be the first of many Insider Invitations that I’ll issue first to members of How Great Marketing Works and then to Subscribers to this Blog. I wanted to give you one more reason to subscribe… something of value that you could get simply because you subscribed. And an interview with Rand Fishkin is something that is very worthy of that mantle. So, if you’d like to join us on Friday at 6pm Irish Time Please Register Here. It’s FREE and worth an Insider View. Later interviews will be posted as recordings so do make sure to subscribe if you’d like that same access again. This is a story worth telling and hearing. I’m looking forward to sharing it with you and if you like you can join me and ask questions live and in person. I’d love to have you there and if you can’t make it this time make sure to subscribe to get that insider invitation to the next interview. I love to work with businesses, both large and small to help them create sustainable business dreams... Brand and Strategy are at the heart of everything I do and that gets rolled out digitally and across any channel where your customer lives.